Gumtree has today announced that for the first time it will be offering users the opportunity to rate sellers, buyers and service providers that they transact with through the website and app. 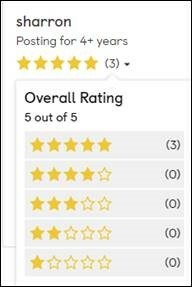 In the first phase of a major upgrade, Gumtree – which launched in 2000 and has been owned by eBay Inc since 2005 – will give customers the chance to provide feedback on their experiences of purchasing goods in the ‘For Sale’ category, by using an optional 5-star ratings system. Gumtree is making the change to increase accountability and transparency between users on the site, and to instil greater buyer and seller confidence. The changes are highly requested in customer feedback, and follows a phase of extensive research and testing. Offering user ratings is the latest update in a set of sweeping changes to the Gumtree platform. Stemming from a full site rebrand in 2016, other recent changes include a relaunched ‘Jobs From Gumtree’ category, and an integration between Gumtree Motors and eBay Motors. 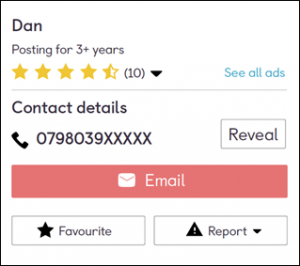 In initial beta testing of the new ratings functionality, conducted in February 2018 against a sample of approximately 4,000 users, 70% gave a full five-out-of-five star rating to the users they had met on Gumtree. The first phase of ratings is already available and visible to Gumtree users within the ‘For Sale’ category, and will soon be followed by the introduction of ratings across all other categories and the Gumtree app.